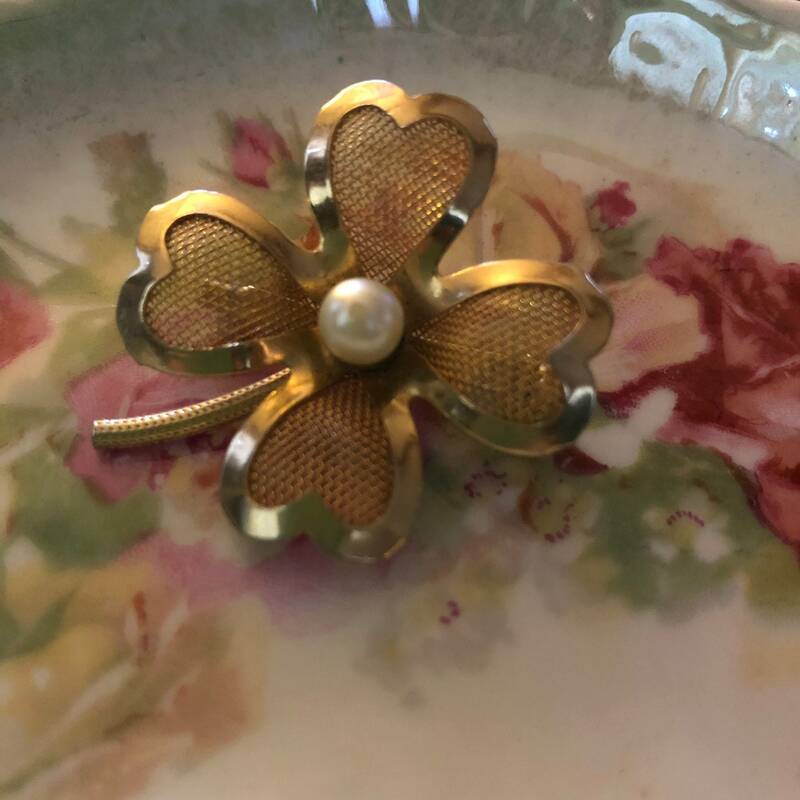 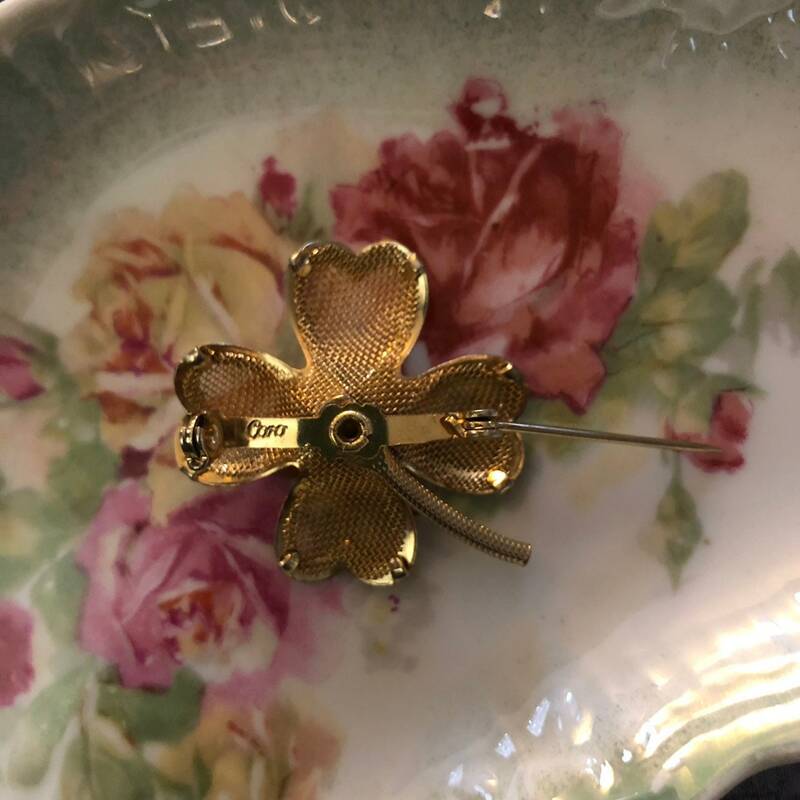 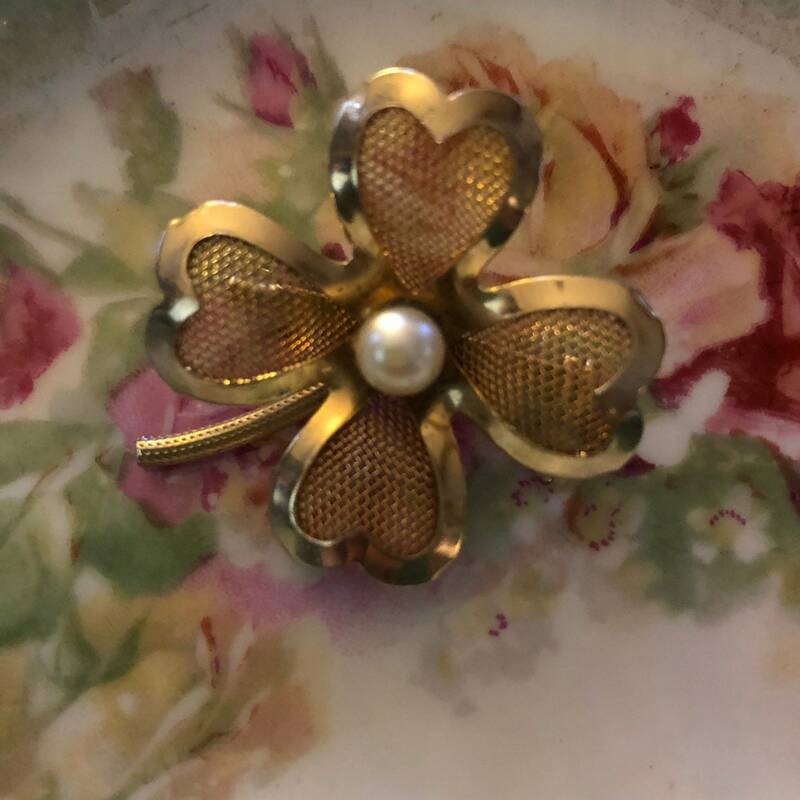 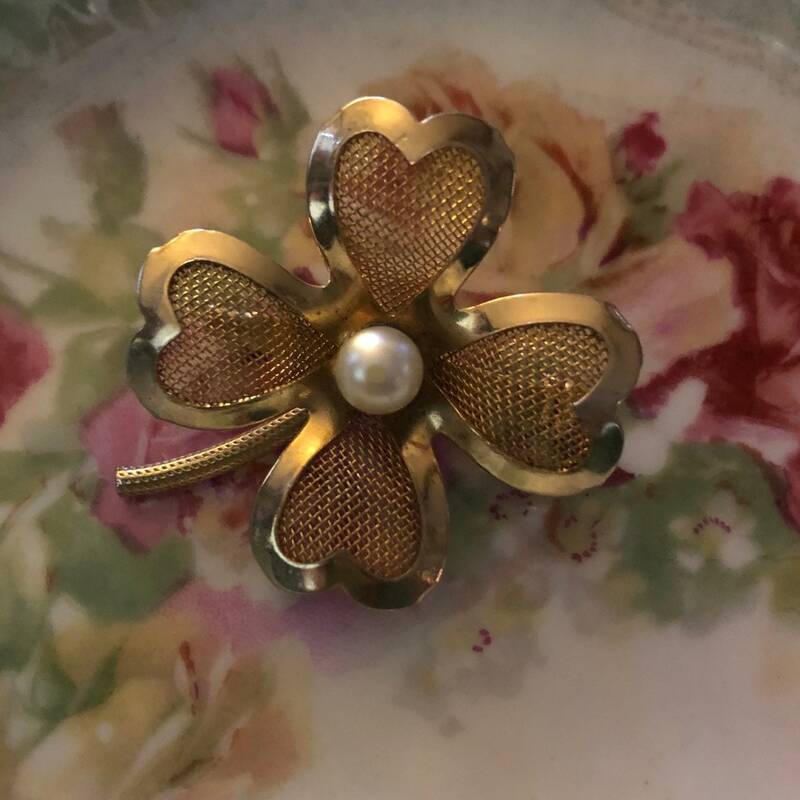 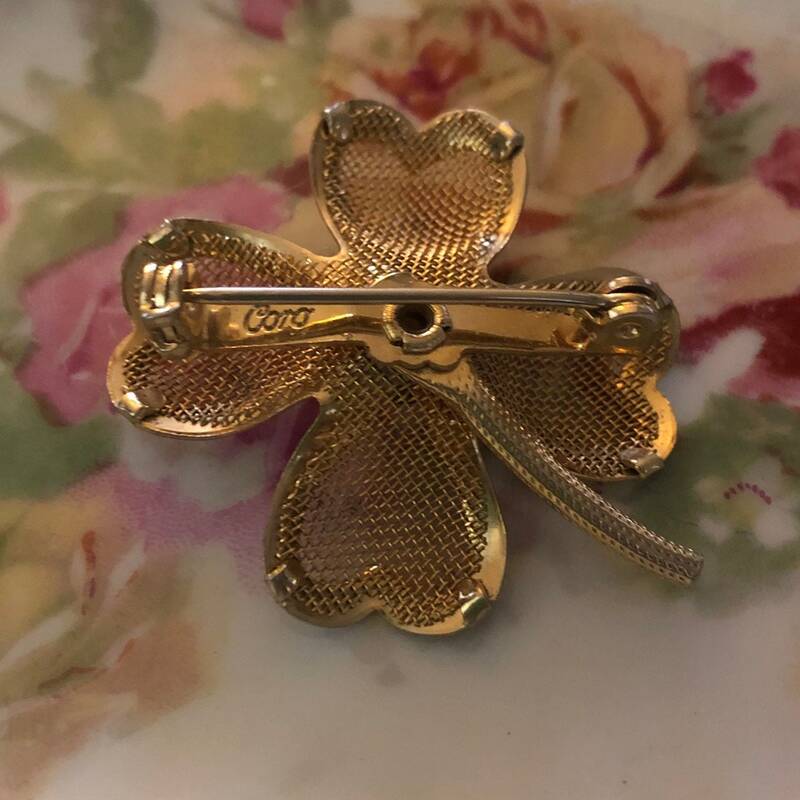 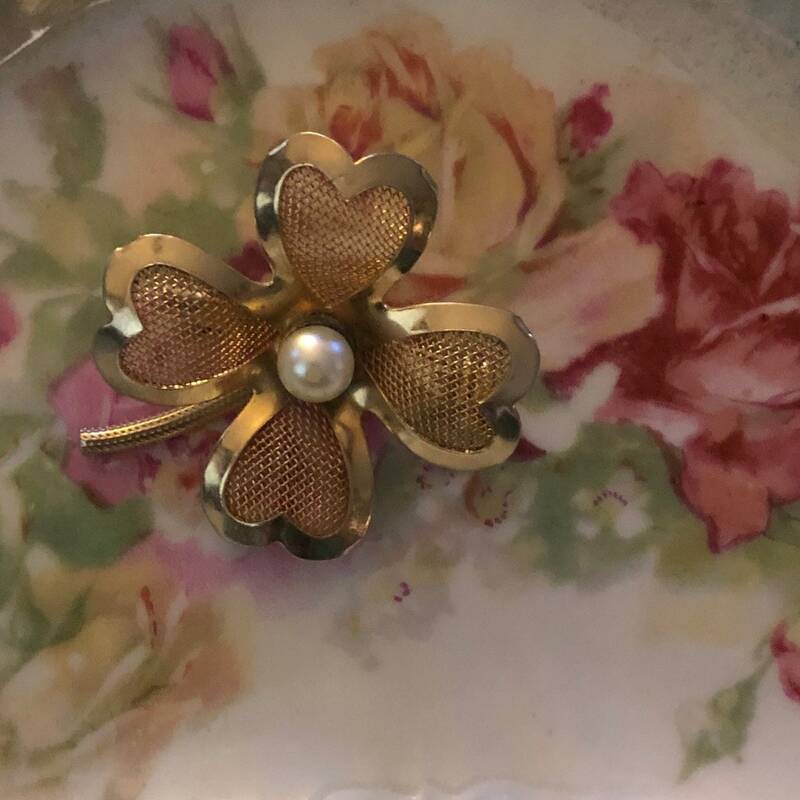 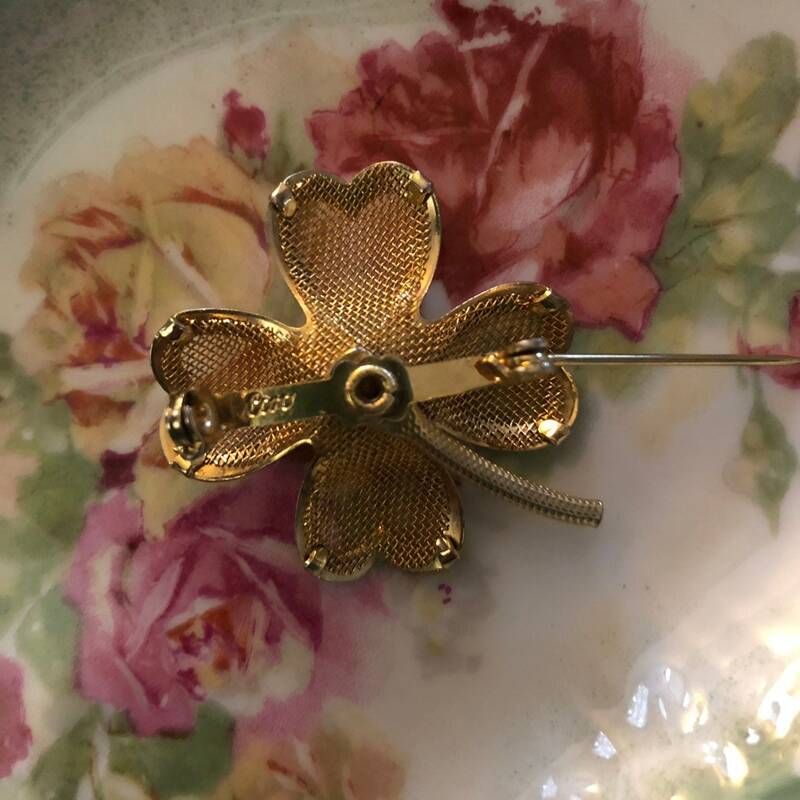 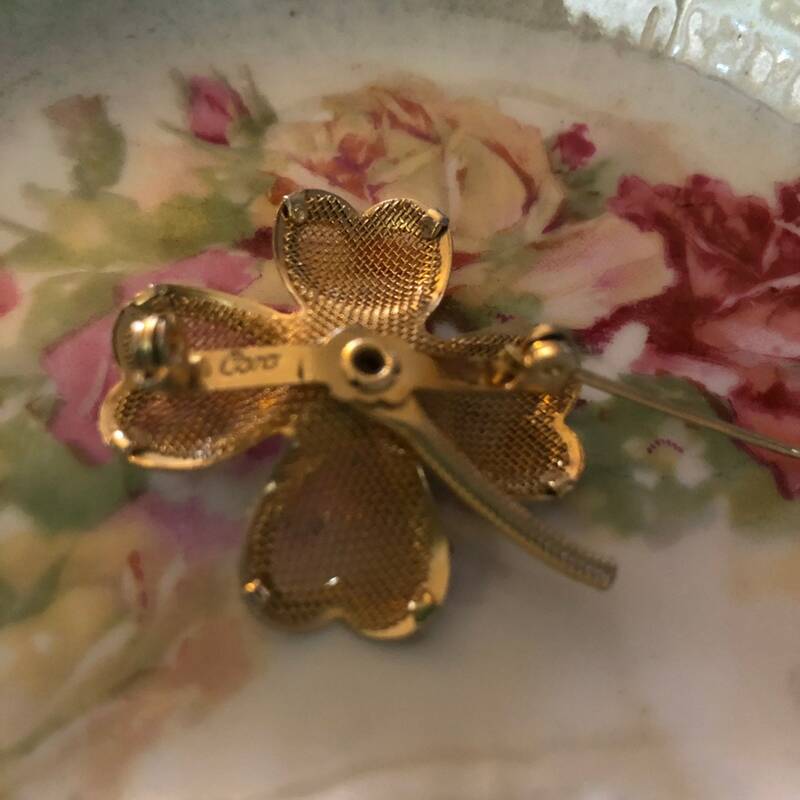 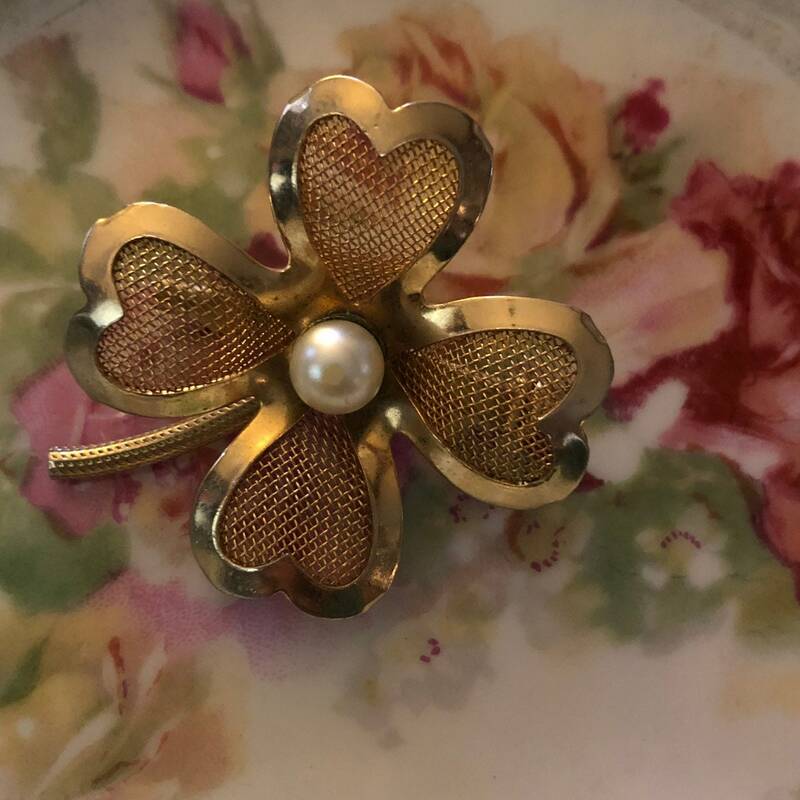 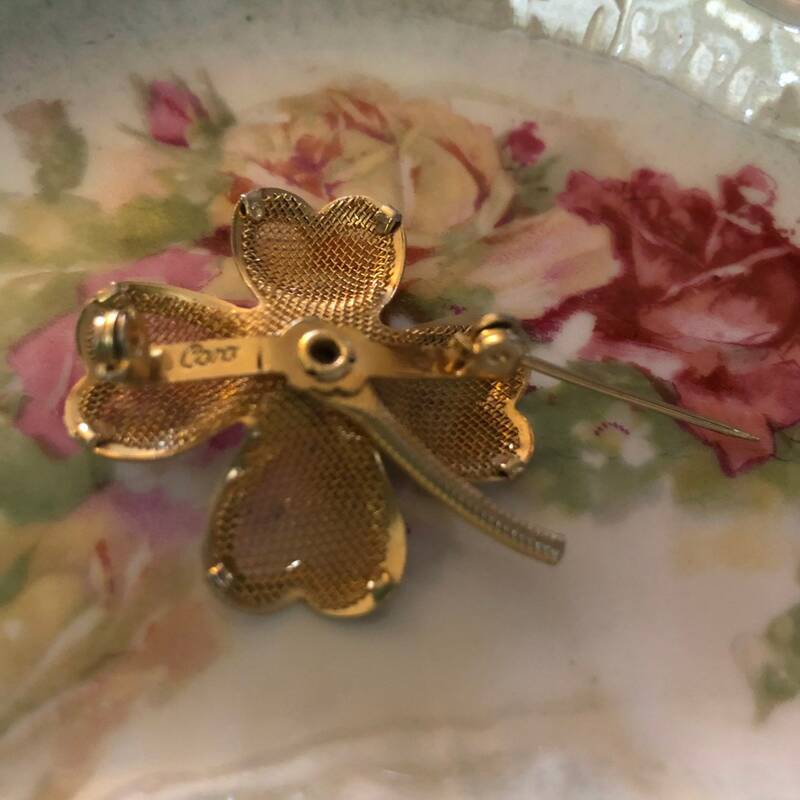 Gorgeous Coro signed gold tone brooch with pearl in center. 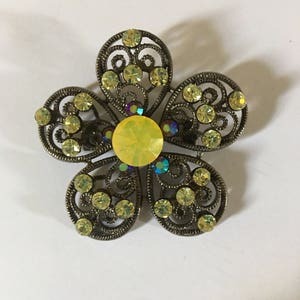 Beautiful Vintage SNK Swarovski Aurora Borealis rhinestone crystals and a large yellow cabochon stone in center, one of a kind pendant. 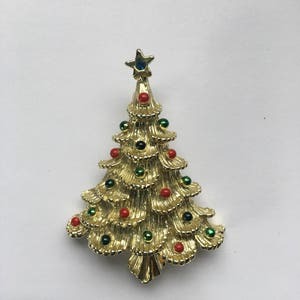 Gorgeous signed GERRY's Christmas tree pin with a sapphire stone on the top of tree. 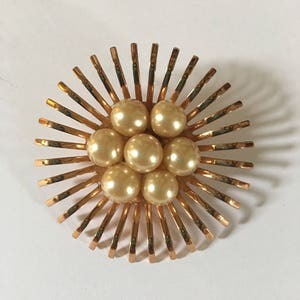 Absolutly stunning vintage holiday brooch! 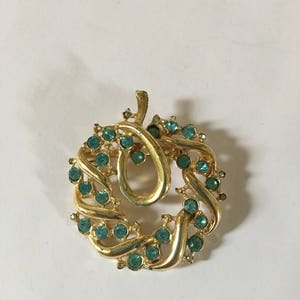 Gorgous antique brooch with aquamarine gemstones in a apple shape brooch.